Deep in the forest of oak and pine that cloak the hills of Northern Jordan, down a side road off a side road you’ll find a long, low building of pale limestone. 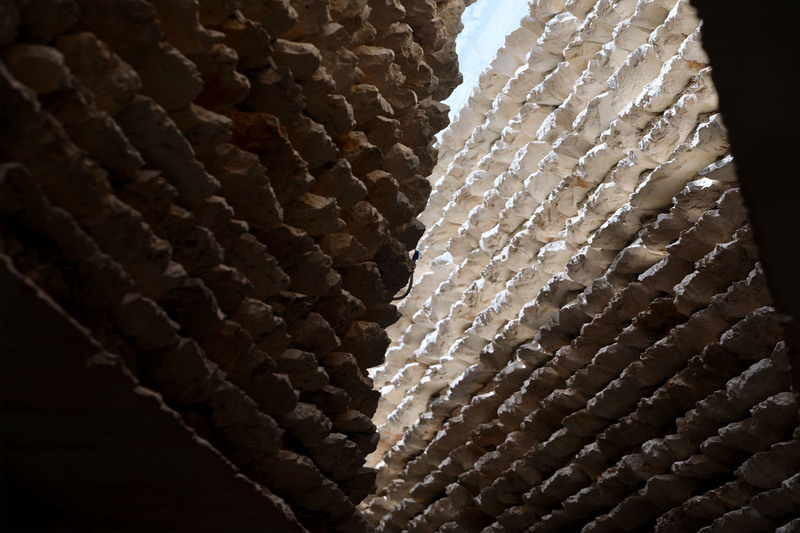 It represents the future for a new generation of environmental conservationists, and also embodies the design esthetic of a boundary-breaking Jordanian architect. 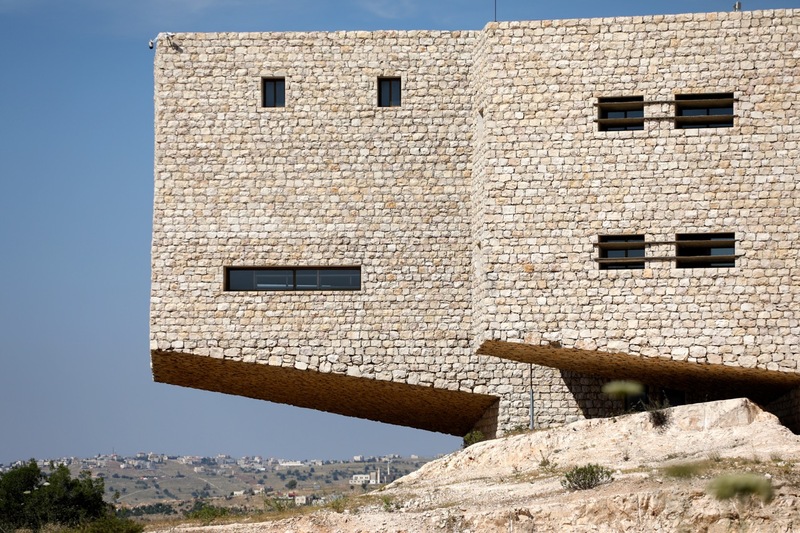 Designed by architect Ammar Khammash, in the Ajloun Forest Reserve, the building expresses Khammash's esthetic that emphasizes being part of the environment rather than standing out from it. “Architecture is a sin,” says Ammar Khammash, 57. “I don’t want to be visible, and I don’t want my buildings to be visible.” Standing in the building he designed, this unconventional man—artist, designer, engineer, geologist, musician and polymath—faces a view of dark-green treetops awash in spring sunshine. The forest is silent but for birdsong and cicadas. He names two world-famous “starchitects." We are meeting at the Royal Academy for Nature Conservation, built by Khammash for Jordan’s Royal Society for the Conservation of Nature (rscn) and officially opened in 2015. The academy stands at the entrance to an rscn-run nature reserve established in 1987 to protect forested land beside Ajloun, a town 70 kilometers north of the Jordanian capital, Amman. 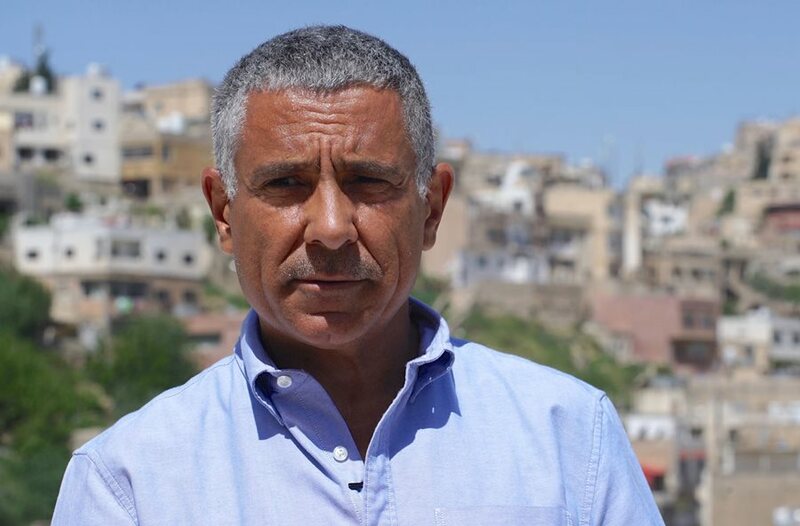 Though Khammash’s small architectural practice can claim prestigious private and government clients, he is best known for a string of rscn commissions ranging from Dana, a remote mountain village, to the heart of Amman. 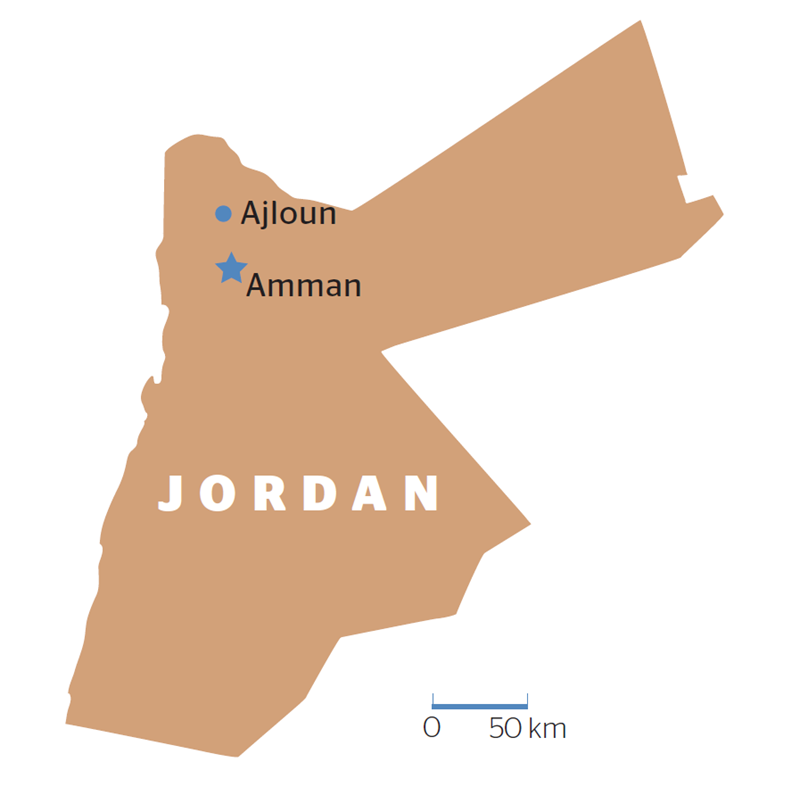 His stripped-back designs, using locally sourced materials, referencing vernacular traditions and exemplifying acute environmental sensitivity, are on show in visitor reception centers, rangers’ offices and rural guest houses all around Jordan, enhancing places that many tourists visit—and that many Jordanians cherish. 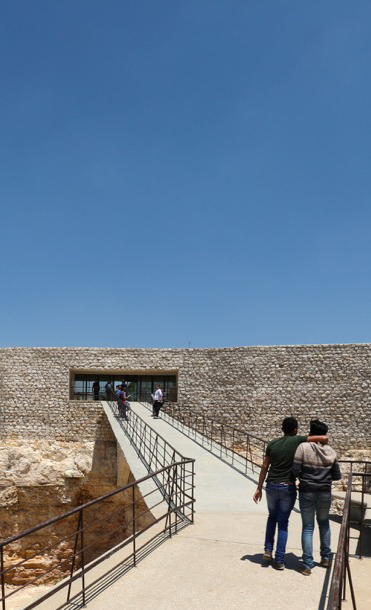 Extending 30 meters across the abandoned quarry, the arch supporting the entrance path to the Royal Academy for Nature Conservation is the second-longest in Jordan. Growth in outreach has been mirrored by growth in skills development. Since 1997 the rscn has trained around 250 specialists a year, from Jordan and across the Middle East, in management of protected areas, conservation research, ecotourism and socio-economic development. Around 2005 the idea emerged to formalize training in a single, dedicated building. “We had been pioneering capacity-building in conservation throughout the region. With success came demand,” says Johnson, who initiated and managed the project to build the new academy. For rscn Director General Yehya Khaled, the academy pointed to a breakthrough in public education on the environment. “We wanted the academy to be a model, representing rscn values [in] conservation and community development,” he says. Top: "The building hovers over the forest and barely touches it," noted the jury for the Aga Khan Award for Architecture, which shortlisted the building in 2016. Using rubble that would have normally discarded, Khammash instead repurposed the stones for the constuction of the building. Khammash had the quarry pit cleared, but instead of bringing in stone for construction, he used the rubble, which would normally have been discarded. 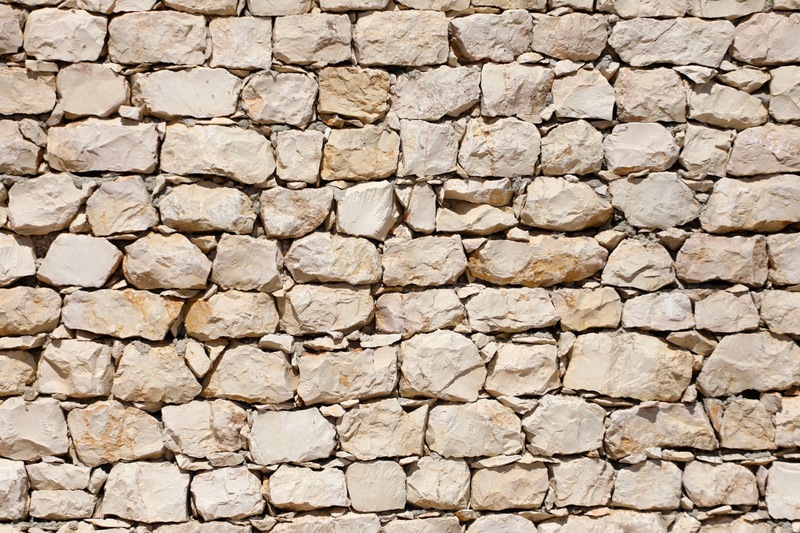 The result is external walls of unusually small limestone rocks neatly fitted together. The impression is of a building at one with its setting, as if it has been lifted whole from the quarry and placed on the ridgetop. The bridge delivers you to the building’s public entrance, a slot in one flank that opens to … almost nothing. The lobby, like its architect, impresses by stealth. You could cross this low transitional room in four paces, but a glass wall in the opposite flank keeps the forest in view. The ambience is of spacious calm. Free of adornment, displaying a deliberately rough finish of raw concrete, it is artful. Khammash calls it simply a “void” where the building’s two functions meet. To the right a restaurant generates income to help pay for the training courses that are run in the rooms to the left. The restaurant area draws you out through airy interiors to shaded rear balconies woven about with foliage and forest views. But the heart of this building’s beauty shows when you turn left. on both sides—tend to be dark. Here, though, sunlight moves across the rubble-stone walls: Khammash has opened a glass roof above the corridor and created an end-wall of windows facing west. In summer cool winds flow through as natural ventilation. This lack of pretension, eschewing the temptations of Italian marble, Scandinavian wood or even plaster for the walls, can cause confusion: Visitors seeing rough, concrete walls and gappy floor tiles ask when the building will be finished—and then tut when they hear it is. The rough and unfinished stones that populate the Royal Academy for Nature Conservation often cause confusion among visitors as many belive that the structure is unfinished. Another consequence is an agile minimalism. Khammash’s balconies, for instance, narrow to the slenderest of cement edges, supported beneath by angled beams anchored in the smallest possible foundation. To stand on one is to fly above the trees. A narrow slit in the ceiling admits just the right amount of natural light. “The light pulls you in the right direction,” says Khammash. Cinder blocks turned sideways aid the acoustics of the main meeting room. “You don’t need a microphone for a speaker to be heard,” says Khammash. But visuals tell only part of the story. The building, completed in 2013, deploys an array of environmentally progressive techniques, from straw-based insulation and gray-water collection to geothermal energy for heating and cooling. During this two-year, $3.9-million construction project in dense woodland, not a single tree was felled. Once you tune into Khammash’s aural architecture, you find it everywhere. It draws the sounds of the forest—creaking of trees, whistling of wind—into the building. And it sends the sounds of the building—voices, footsteps—spiralling together in unexpected pools and pockets. For the conference hall, located in the academy’s sloping western cantilever, the architect examined how opera houses dampen acoustic reverberation with walls of slatted wood. Adapting the science to the local context, he built walls of cinder blocks but laid them sideways so that their slatted, open cores face into the room. “This is a nice, interesting way of using these blocks. Sound stays in the holes. You don’t need a microphone for a speaker to be heard clearly at the back of the hall,” he says. 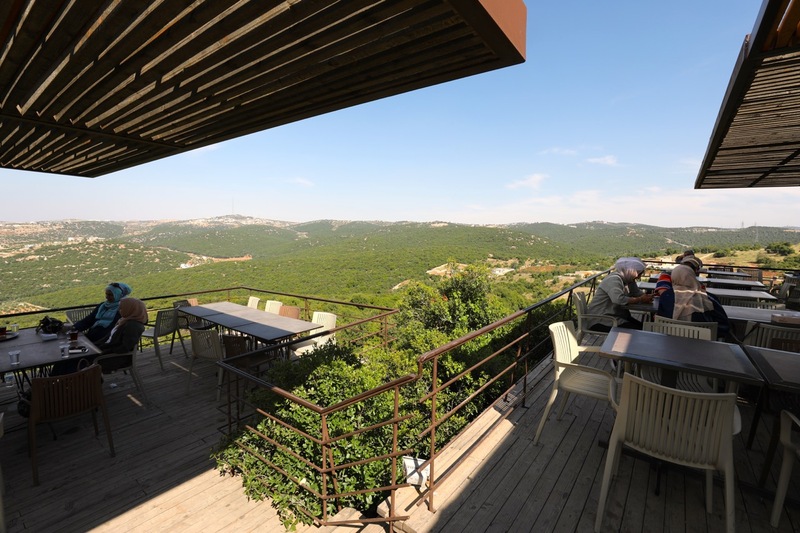 The academy’s shaded terrace opens to an expansive view of the Ajloun Forest Reserve. In 2016 the academy was shortlisted for the Aga Khan Award for Architecture—“a great privilege,” says Khaled, not least for international recognition of the building’s potential to deliver a new generation of conservationists. He tells me the rscn is developing curricula for training programs that can be run here with international partners, including the University of Montana, and that it has brought local socio-economic projects developing biscuit-making and handmade-soap production into the building. Rebranding the academy as “Wild Jordan Ajloun” is next, which will help consolidate the efforts to deploy it for tourism as well as education.